Bring your memories to life. Easily create slideshows set to music from your photos and video clips. Join our millions of users and see why we’ve been featured in the NY Times, WSJ, NBC, CNN, Forbes, HuffPo, Wired, TechCrunch, and more. 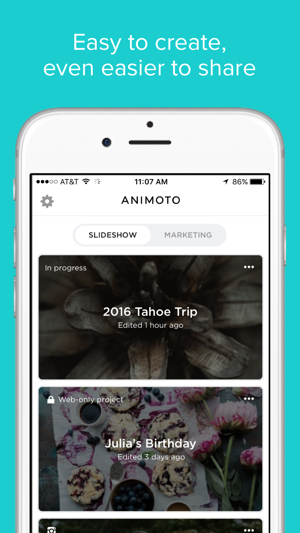 The Animoto: Slideshow Maker app is always free to use. Free version includes adding up to 20 media files per slideshow. Create longer slideshows (and get access to our award-winning desktop program) with a subscription. Payment will be charged to your iTunes account at confirmation of purchase. Subscriptions will be charged to your credit card through your iTunes account. Your subscription will automatically renew unless cancelled at least 24 hours before the end of your current subscription, and you cannot cancel a subscription during the active period. Your iTunes account will be charged for renewal within 24-hours prior to the end of the current period. You can manage your subscription at any time, either by viewing your account in iTunes from your Mac or PC, or Account Settings on your device after purchase. 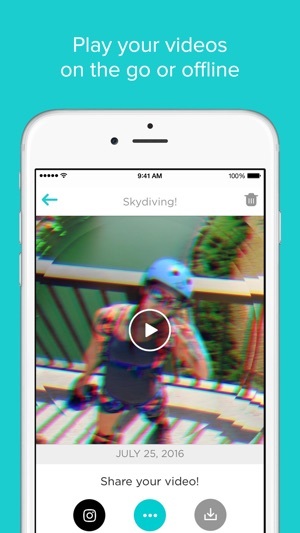 Follow @Animoto on Facebook, Instagram, and Twitter for inspiration and tips on how to make your own amazing videos. We've squashed a couple of pesky bugs in this release. 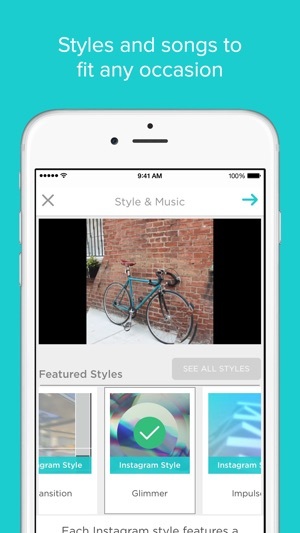 Love Animoto? Please review our app in the App Store. 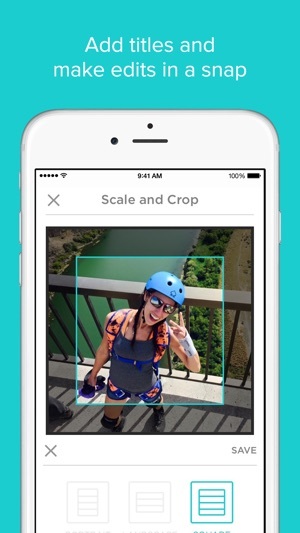 If you have any issues with the app, please email us at help@animoto.com. This is 100% worth the money. I was trying to make a little music video of pictures and videos I’ve taken with my girlfriend over the last 2 years and wanted a nice song in the video while our memories were playing. I downloaded 6 different video maker apps, all let downs. Tried the free version of this for like a small video, and it was perfect. I paid the money for the premium, and made the 5 minute video and it turned out absolutely perfect. So perfect I almost tear up every time I watch it and I’m so excited for her to see it. GREAT APP! Definitely download!!! You don’t even have to pay anything! They let you choose out of million kinds of slide shows, then million kinds of songs. It’s all free! If there was such thing as more than 5 stars I would give them a million! Because that is how much songs and slides. 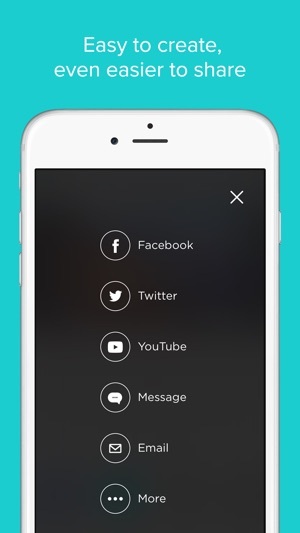 You can choose up to 20 photos and videos! Not like those stupid other slide show apps who only let you put 2 or 3. Don’t listen to those other apps. Instead of paying like 20 bucks for a pic, Animoto lets you have 20 for FREE!!!!! !